To celebrate the campaign reaching the 100k$ goal, we are announcing a new SPECIAL ADD-ON: Aegyptus - Land of mummies, necromancers, and mysteries! Aegyptus is the first of our Expansion Modules, a complete description of the Empire’s richest province, with its ancient cities and temples. 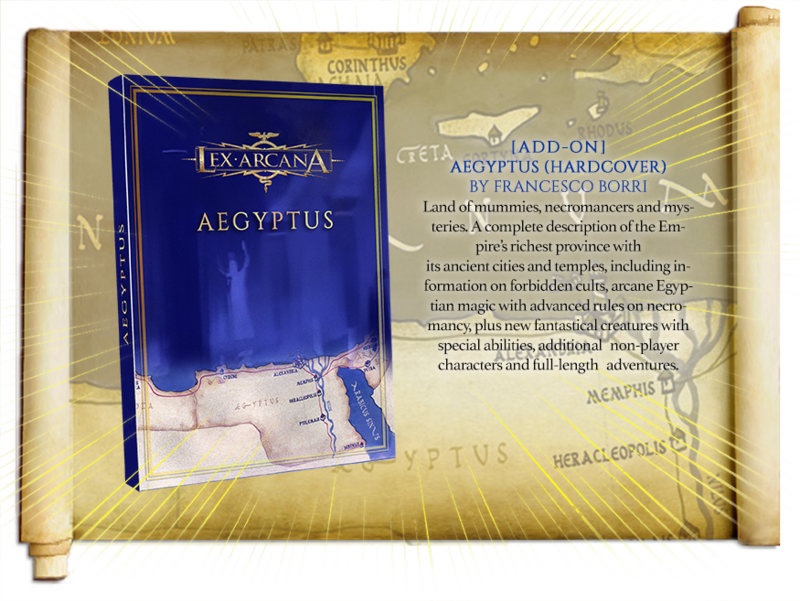 It includes information on forbidden cults, arcane Egyptian magic with advanced rules on necromancy, plus new fantastical creatures with special abilities, additional non-player characters and full-length adventures. Along with the ADD-ON, we are announcing a special introductory chapter for the Custodes which will be added to the campaign's rewards with the PDF LOGO. This guide can be read by any player, not only the Demiurge. It provides Custodes with spoiler-free information, ideas, and content to prepare to deal with the menaces and mysteries of Aegyptus. Our haruspices have made a sacrifice to thank the gods for reaching this goal and asked what will be in the next stretch goals. And the gods have given us an answer! 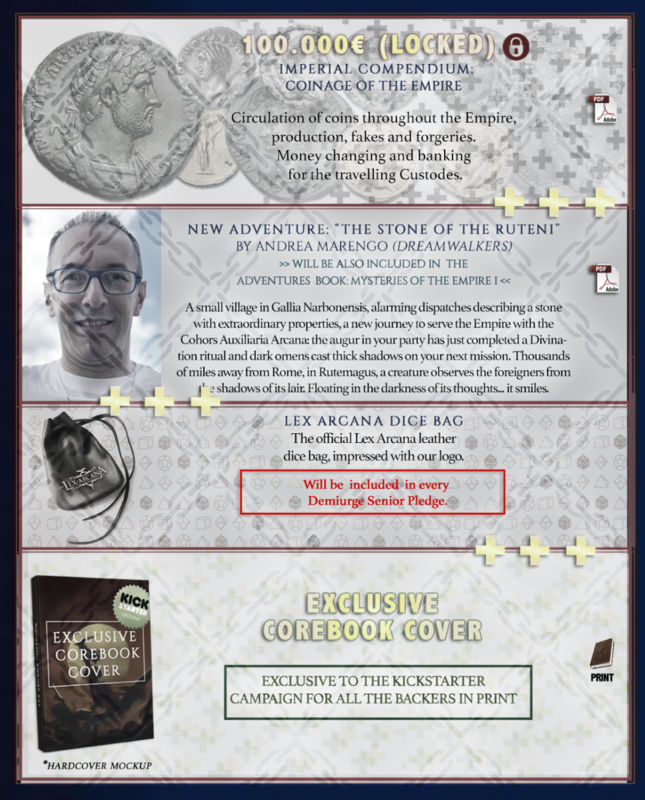 A new adventure available with the PDF LOGO, BUT ALSO available in the Adventures Book Mysteries of the Empire 1: The Stone of the Ruteni, by Andrea Marengo. A new COREBOOK COVER, available exclusively to Kickstarter campaign backers, in print. We would also like to invite you to talk about the game or chat with other (old and new) fans on our Social Media.